Shipping is a big industry. It is most international among all the industries of the world. And it is moving at some pace now. 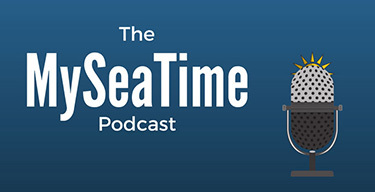 For the seafarers it is important to keep abreast with all the happenings of the industry. But due to the amount of the information, the shipping news is so scattered that it can be hard to keep the pace. We thought to solve that by presenting the essence of a month’s main shipping activities across the globe. Here is what happened in the month of August 2016. If you thought drug trafficking has hardly anything to do with shipping, you would be wrong. This month saw the sentencing of captain and chief mate of a tug boat to 22 and 20 years in jail respectively by the Glassgow high court. Drugs worth 664 Million US Dollars (3.2 tonnes of cocaine) were recovered from the tug boat which amounts to the biggest in Britain. The arrest was made in the high seas beyond the territorial waters of Britain with the help and permission of Tanzania where the boat was registered. This also authenticate a report that said drug smugglers are taking to high seas to avoid increasing boarder patrol. As per the United nation, Columbia has been the main source of cocaine into Europe. 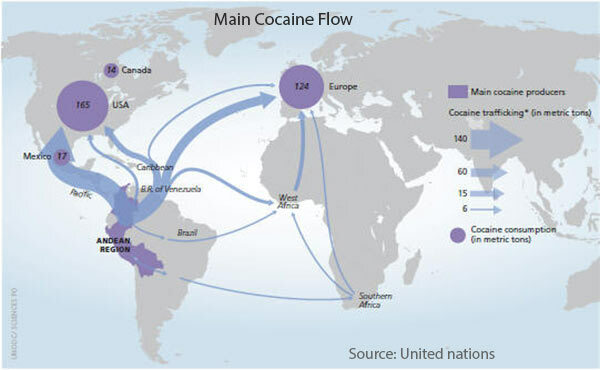 The cocaine is mostly trafficked in Europe through sea. Around 700 tons of cocaine is siezed every year by the authorities around the word. If you think drug trafficking is rare in main shipping fleet, you are wrong as there are many reported incidents of drug smuggling in the recent times. How can seafarers protect themselves from the risks of drug trafficking ? The answer is by being vigilant. 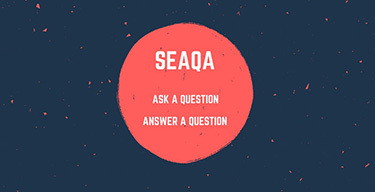 For example seafarers should know the possible sources by which drugs can be placed on board ships. Containers are most prone for drug trafficking as it is virtually impossible for anyone to physically check each container. There are lot of resources to help seafarers train themselves about the risks of drug trafficking and to avoid the use of ships for that. 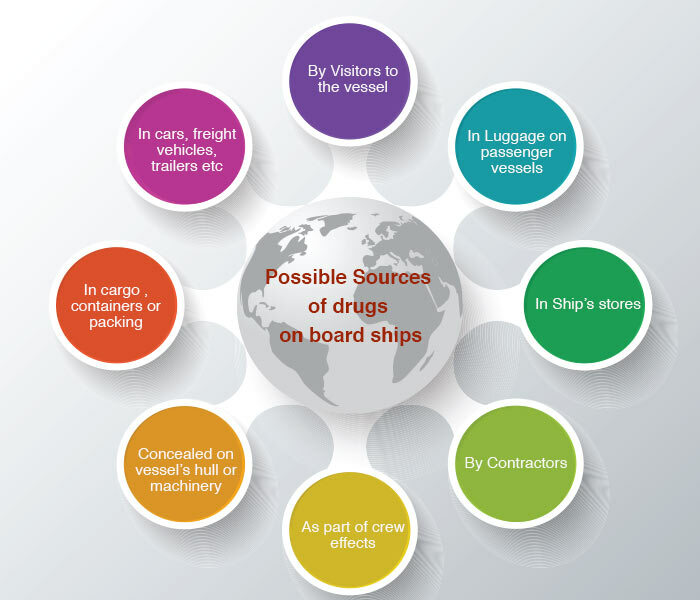 Seafarer should read these specially when their ship is bound to a port with high risk of drug trafficking. As the shipping continue to suffer from over capacity, we see more and more cases of MLC violation. 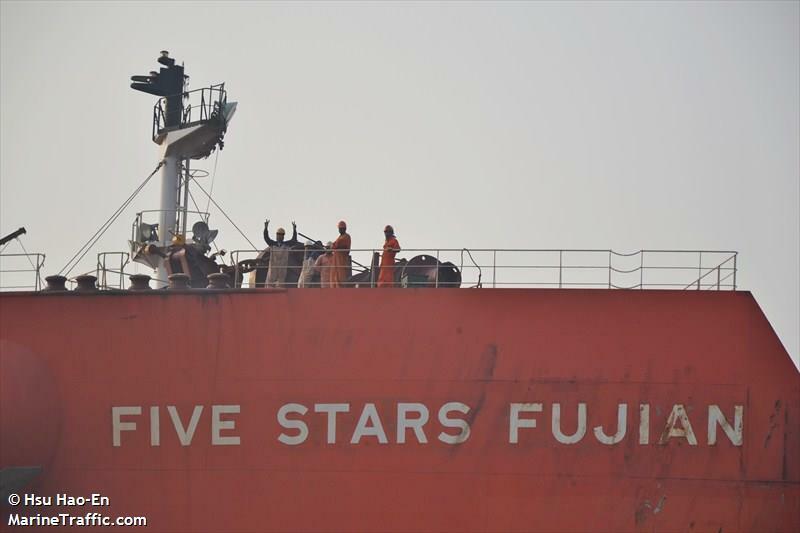 In August there was this case when 20 crew members found themselves stranded on board Hong Kong flagged coal carrier “Five star Fujian”. Crew had not received their wages and the ship was short of provisions and they could not contact the owners. The ship was carrying coal worth US $40 millions. The case of a tanker Amba Bhakti was no different. The crew had not received their wages, were short of provisions and the ship was in urgent need to repairs. On the positive side, these two cases in this month is a good sign that master and crew are not taking thing lying down. They are responding by bringing these MLC violations to light. But these incidents will see the light of the day if the ITF and other agencies are able to get the dues of the crew on board. On the negative side, the agencies are sometimes not able to even locate the registered owners of the ship. This month witnessed two major navigation incidents. 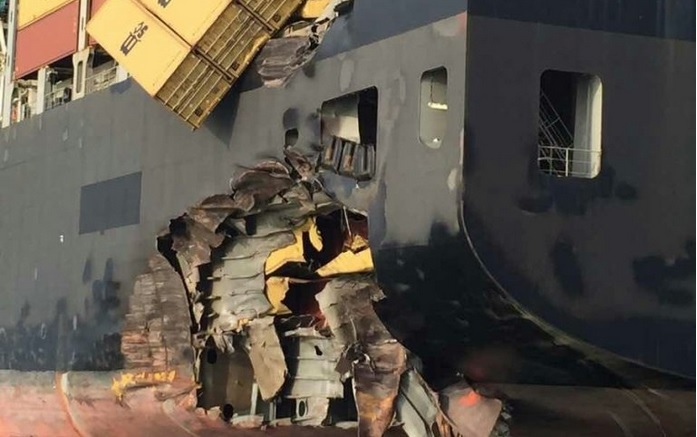 In first incident, a VLCC Dream II collided with the container vessel MSC Alexendra in Singapore strait. The bow of the VLCC hit the port quarter of the over 13000 TEU container vessel. The photos of the damage looked horrible. 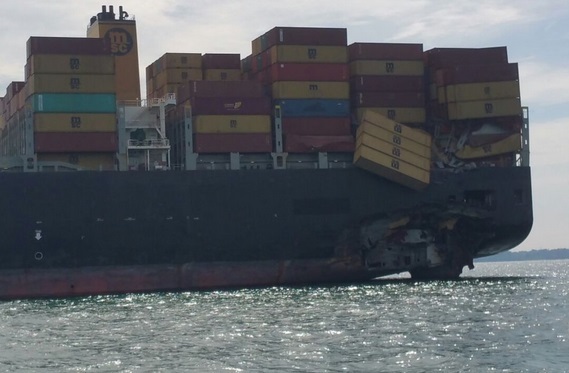 The AIS recreation of the incident shows that the container vessel was crossing the TSS. With respect to VLCC, the container vessel was crossing from her starboard to port. The situation demanded VLCC to alter the course to starboard as she was the give way vessel as per crossing situation. In another navigation incident, three Turkish coast gaurds were killed in ship collision in Bosporus strait. 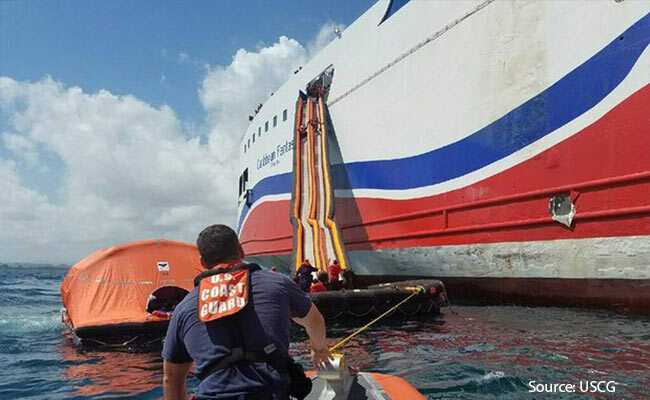 The coast gaurd vessel capesized after collision with bulk carried Tolunay. Both these incidents shows the importance of good navigation in the high traffic density areas. More often than not, the incidents in high traffic density areas are the results of complacency of the bridge team when the members of the bridge team has been around the areas for a long time. If we are alert each time we navigate in these areas in same way we were during our first time in these areas, accidents can be avoided to certain extent. 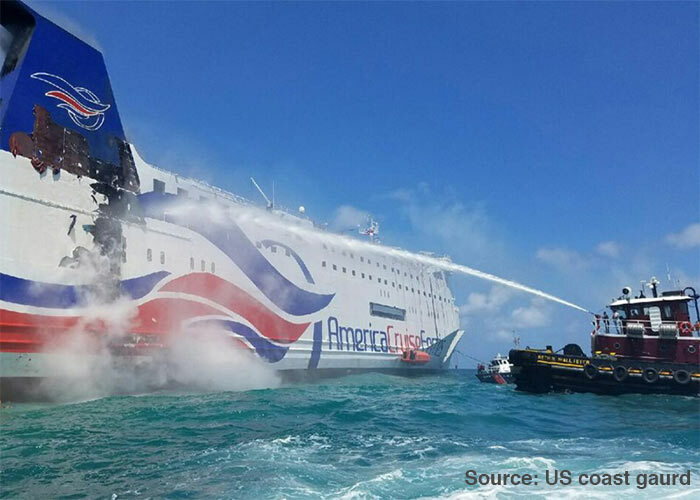 This month saw a major fire incident on board passenger ferry Caribbean Fantasy near San Juan, Puerto Rico. The location of the fire was in engine room. Following the fire, more than 500 passengers and crew were evacuated by US coast gaurd. While the fire broke out on 17th August 2016, reports suggest the foundation for the fire was laid out months back. A perfect example of “if you think safety is expensive, try an accident”. National transportation safety board (NTSB) released a safety seas digest this month. This digest is published yearly and it aims to learn lessons from the majors incidents of the year. Safer Seas Digest 2015 represents our continuing commitment to sharing the lessons that we learn through our investigations. Many marine accidents can be prevented when crews know and respond to safety issues early and when crews work together effectively in the event of a crisis. Allision of bulk carrier Anna Smile with grain elevator in Houston. 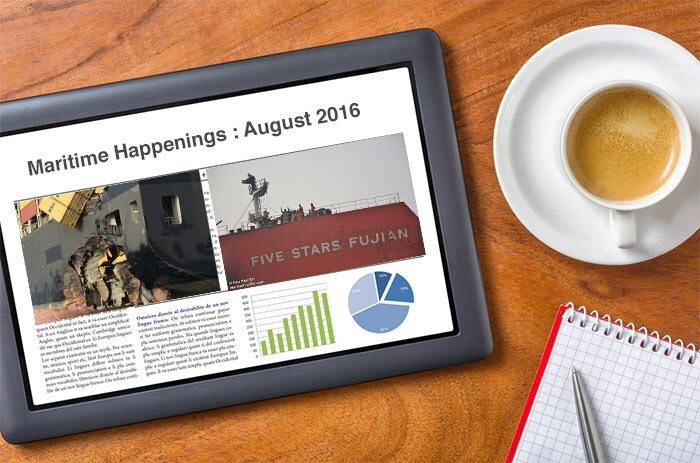 You can download the safety seas digest by clicking here. A judgment of Kolkata income tax tribunal created havoc among Indian seafarers. This has been the talk of the town in the month of August too. 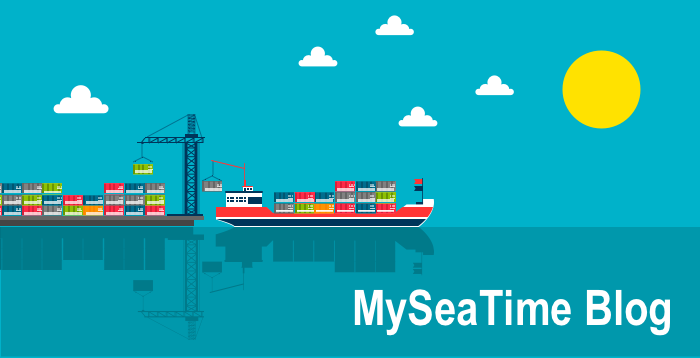 As per the tribunal judgment, the defendent seafarers should pay the tax as the amount (salary) was received in India. If the logic of tribunal judgment is to be considered, Indian seafarers may have to pay taxes in future. Apart from future taxation, seafarers may be asked to pay taxes for up to last 6 years. Maritime union of India has appointed its lawyer to look into this case. MUI has asked all the indian seafarers to show their support by signing the petition against the tribunal jusgement. If you have not yet done that, you can do so by clicking here. What to do if you receive a notice from the income tax ? If you receive any such notice, you should put forth your points (about your NRI status) either directly or through a CA. If same is not accepted, you should contact MUI or NUSI to take your case. We hope that the MUI and NUSI will be able to get the case turn in favour of seafarers soon. Every month we will bring one amazing video of the month. This month the video that we have chosen for the video of the month is time lapse video of a ship moving in Hong kong waters. This is the first issue of our monthly news digest and we hope that you found it useful. We are sure the monthly news digest will keep on improving with each passing month. Very informative.Liking the start of the monthly digest to keep up with anything shipping related.Always looking forward to reading this blog. Great initiative. Best blog for maritime information. Glad to hear that Ashish..